Condo was exactly as described! Kitchen well stocked with equipment. 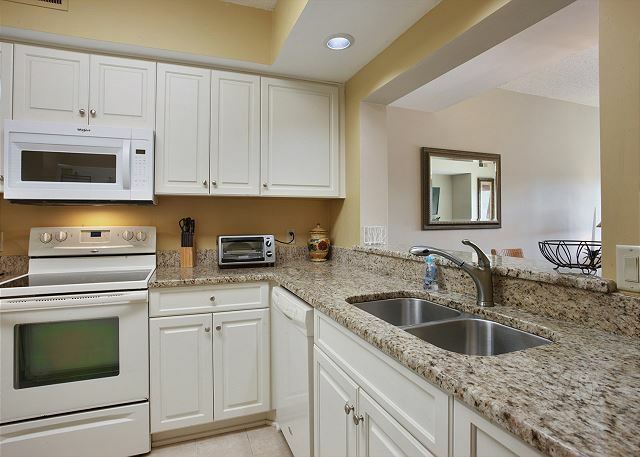 Condo was clean and newly remodeled! Nice view. The condo was clean and very comfortable. We enjoyed the spa and the walks on the beach. We will definitely come back. 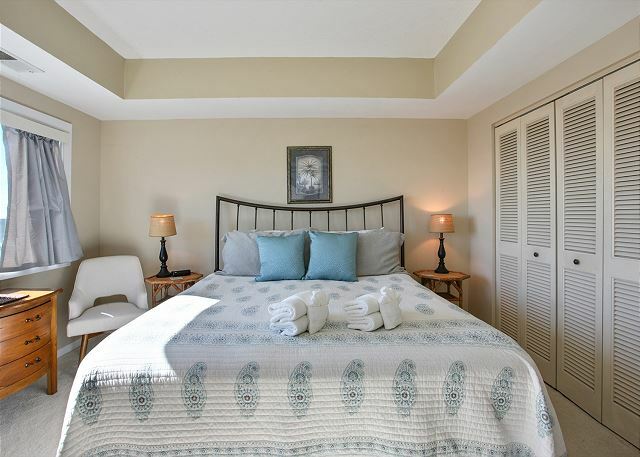 We have stayed in Shorewood previously, love the complex, and appreciated the excellent treatment from Seashore Vacations. We will certainly consider renting through them in the future! The unit is clean, well furnished. Washer and dryer work well. Kitchen well stocked. Had everything we needed for our family of six. Nice view. Even had a few beach chairs and sand toys we could use. Would stay here again. I recently staying in this condo with my 14 year old daughter and two of her friends. It was clean and comfortable and provided everything we needed. 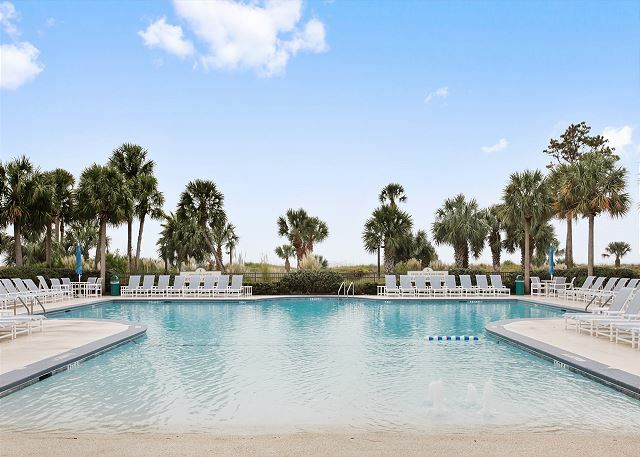 Pool and easy access to the beach was awesome plus the girls could easily walk to the shops and restaurants at Coligny without supervision because it was five minutes away. Grocery store is also a five minute walk. So nice to not have to drive everywhere. Mostly families staying there with no security issues or questionable activity anywhere around. We enjoyed it. I had a minor maintenance issue while there which was handled immediately. 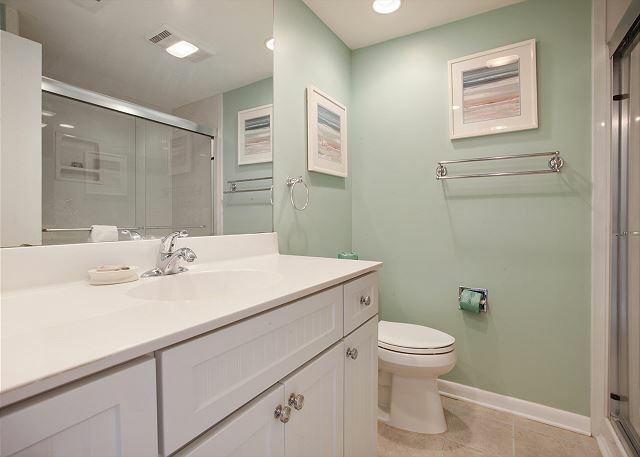 The keyless door makes it great - no remembering or carrying keys with you. We will return. 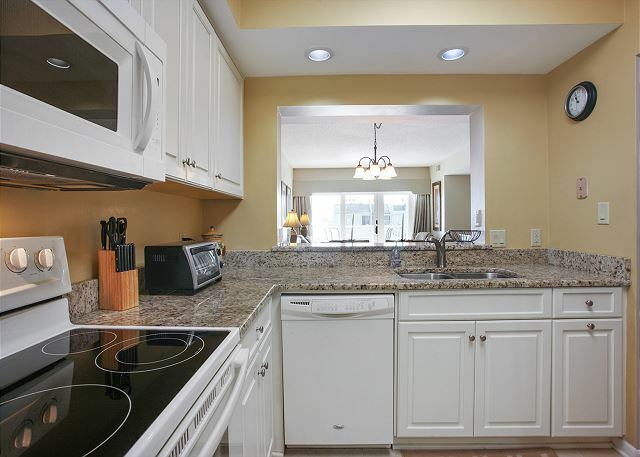 438 Shorewood is in great location, great view, beautiful and well equipped condo. 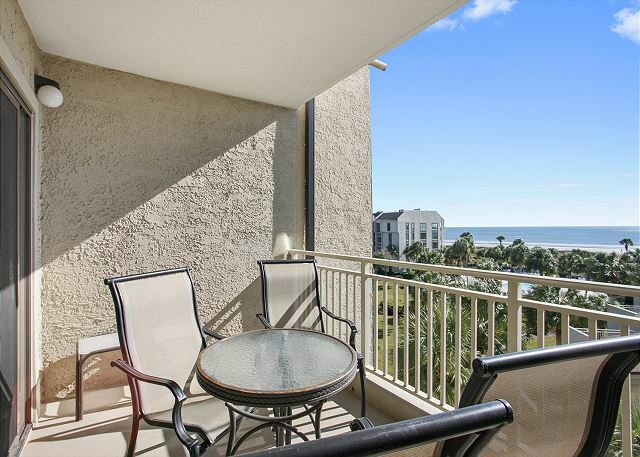 Walk to beach and Coligny Plaza. Bike on trails. Perfect location. 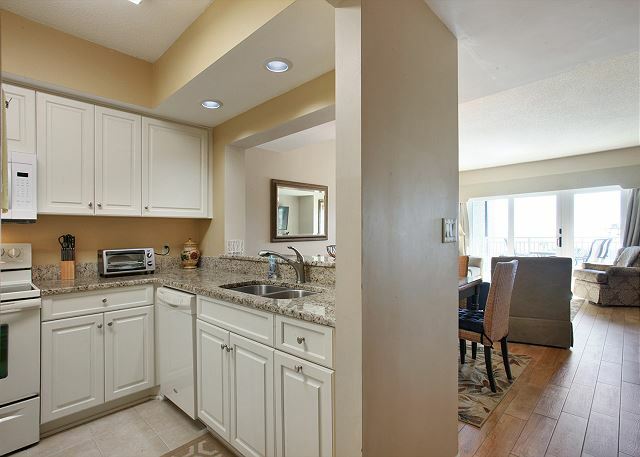 438 in Shorewood is a great condo to stay in. 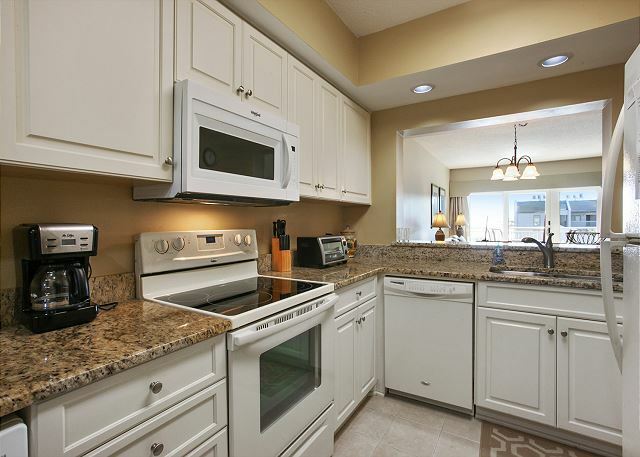 They have made nice improvements & updates to condo. Only Suggestion is you have to get the Golf Channel. One final note - if you like seafood, go to The Seeafood Shack!! 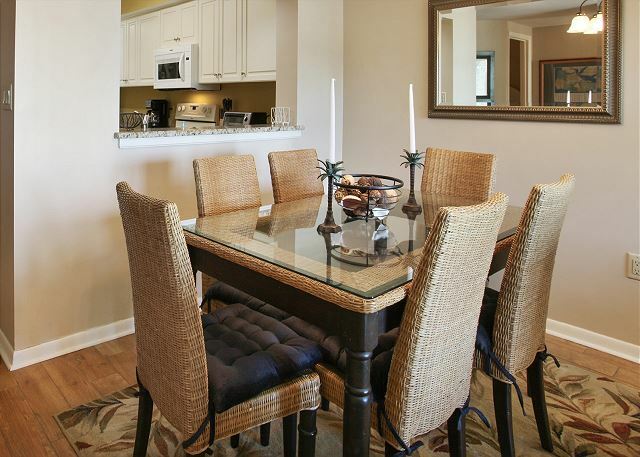 You can dine in if you like, but we got it to go and brought it back to the condo. Either way, you wait in the same long line, but it does move fast. Their food is amazing! Loved the scallops. 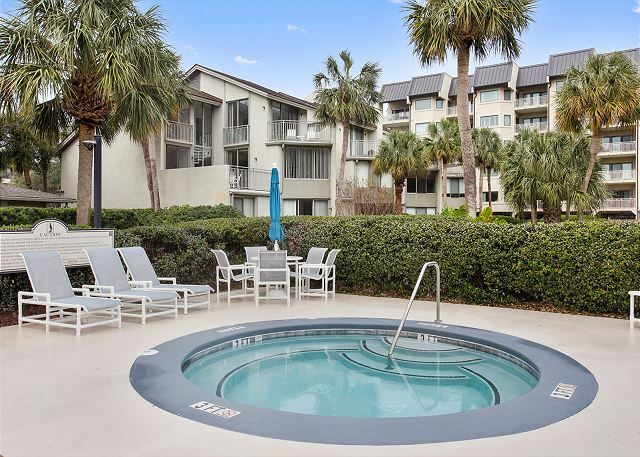 Relaxing, accessible, clean, spacious and convenient to beach and Coligny. 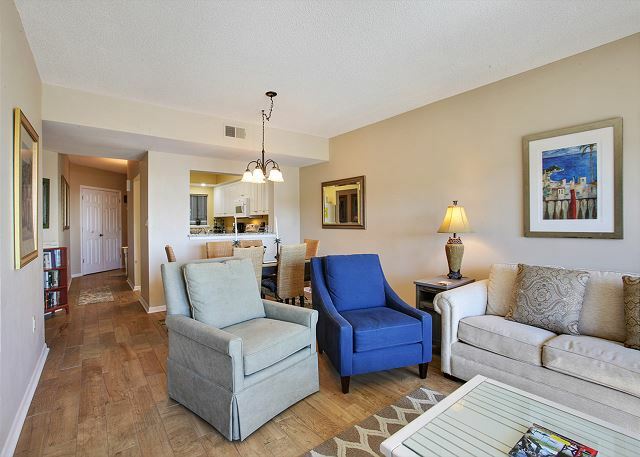 The condo was beautifully updated with new flooring, bathrooms, and furniture. Great view from the balcony. 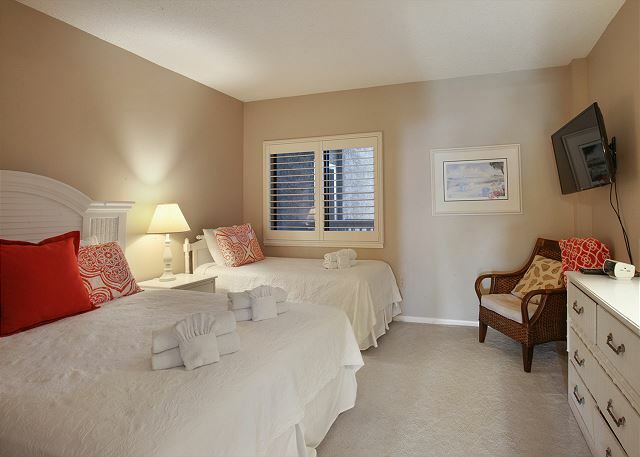 The Shorewood condo complex is well kept with clean and modern facilities. 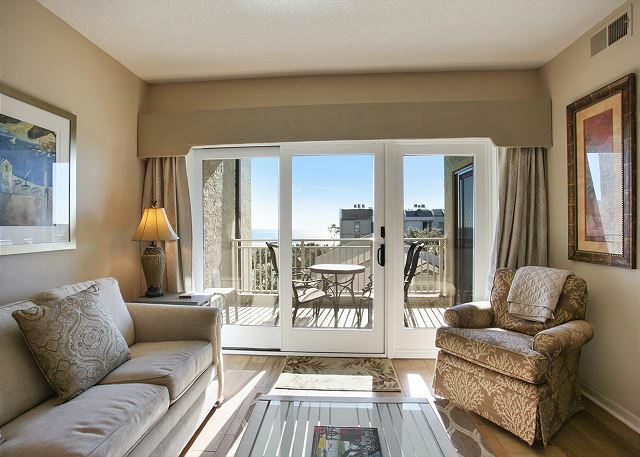 I wish Seashore Vacations did not require guests to go to the office on check-In day when there is a keypad on the unit. Other friends who used other agencies were sent their codes prior to arrival and were told they could access the unit after 4:00 pm. Leaving the beach to go to the office is extremely inconvenient. This alone might change my choice of agencies in the future. 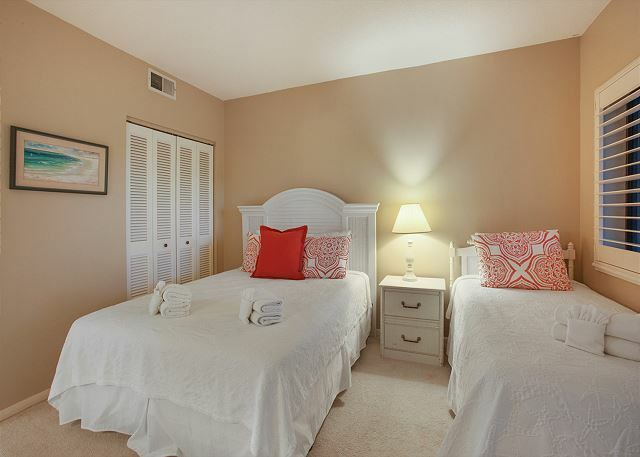 Perfect stay for a family with young kids! 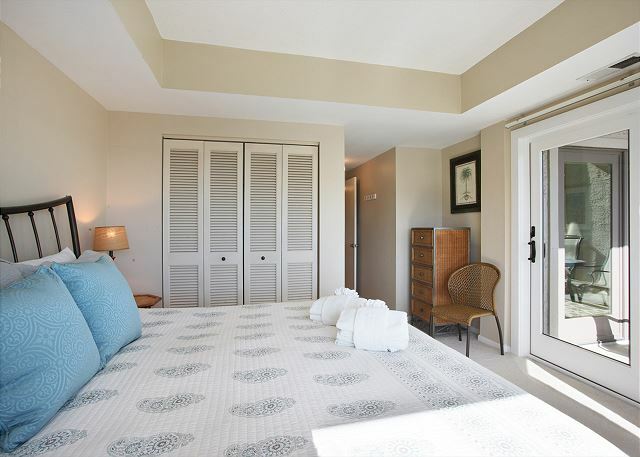 This property is exactly as described and a perfect location on the beach. We have 3 kids under the age of 7 and they loved their visit. The pool is large and well maintained. 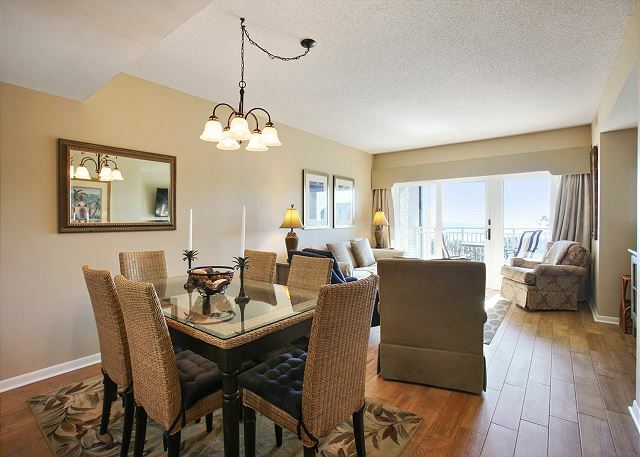 The grounds are manicured beautifully and the beach is only steps away down the boardwalk attached to he property. 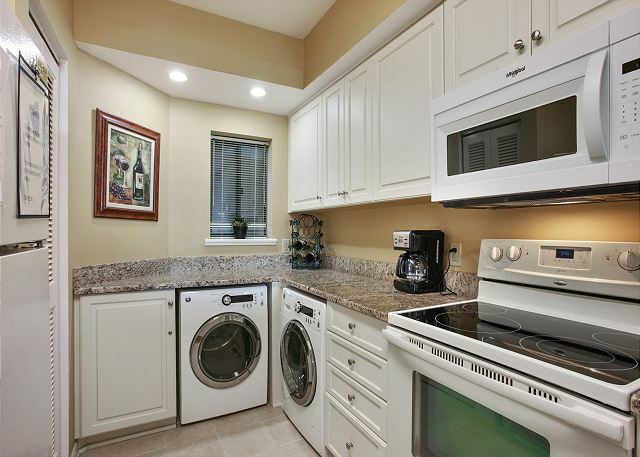 This unit also has an A/C unit that works well and strong water pressure. Those can make or break a visit for me! Check-in and check-out was easy and the staff was great to work with. 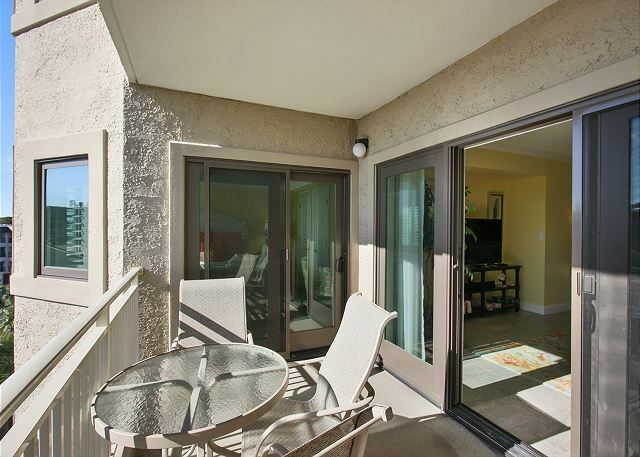 The condo has a great location. The pool and access to everthing in the area is ideal. 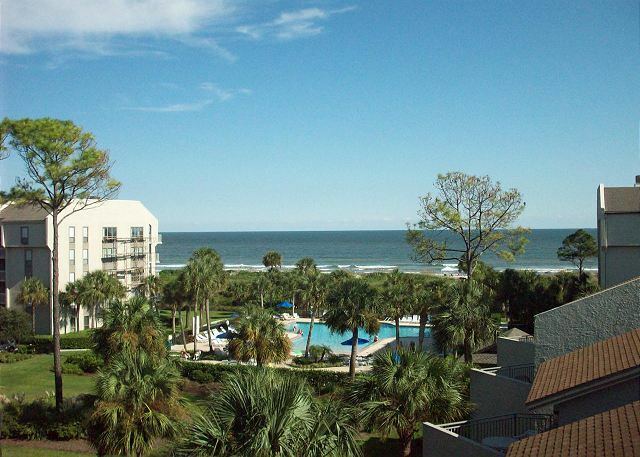 The view of the ocean and pool area from the 4th floor is wonderful. The only thing I would recommend is the condo needs a little updating. 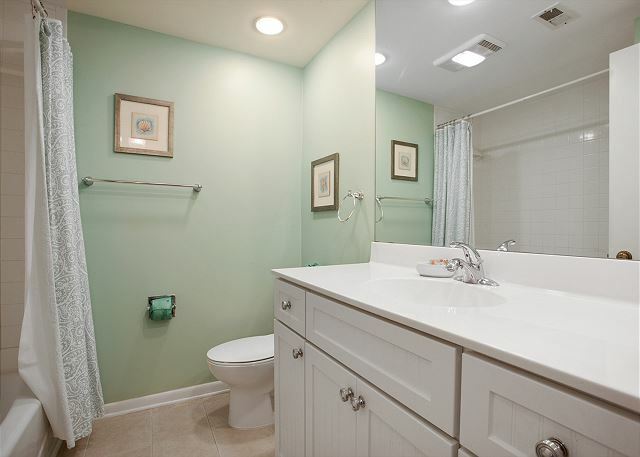 Specially the master bathroom. The sofa in the living area also. 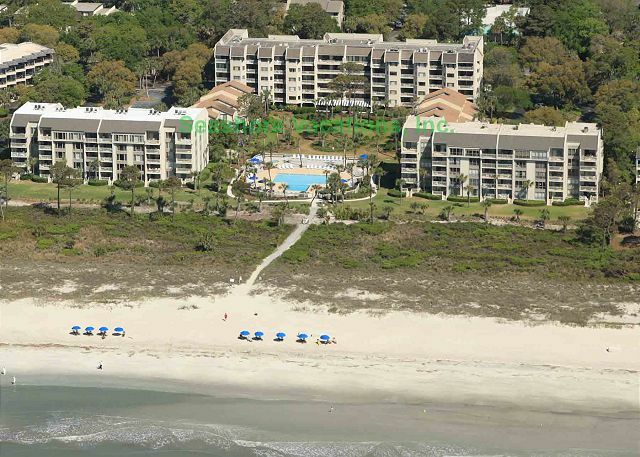 Besides this we always enjoy the stay and the people at Seashore Vacations have been very nice to work with,. Plan on returning in the future just as we have in the past. 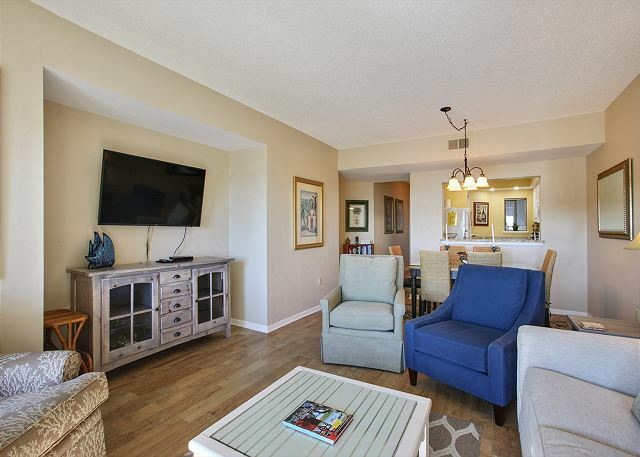 Great condo in a great complex. This is the 6-7th time we have stayed at Shorewood. 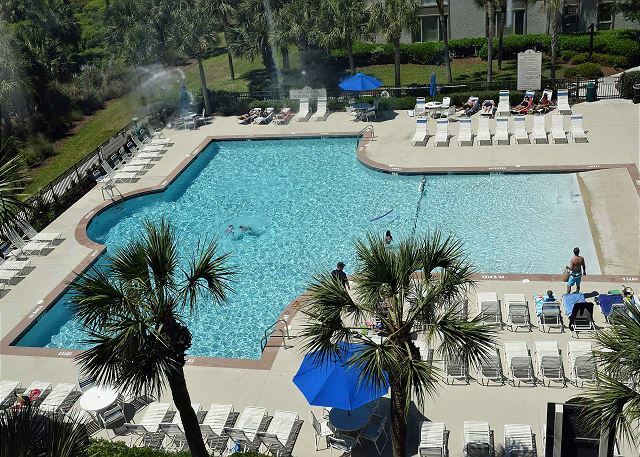 It is the prefect place to stay for a pool/beach experience. 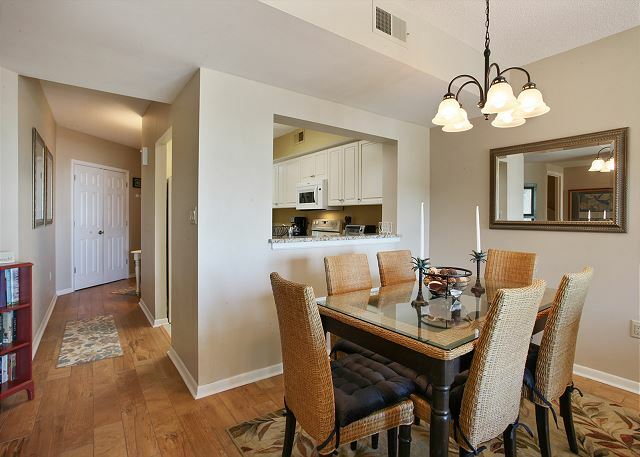 Also it is within easy walking or biking distance of restaurants and shops. 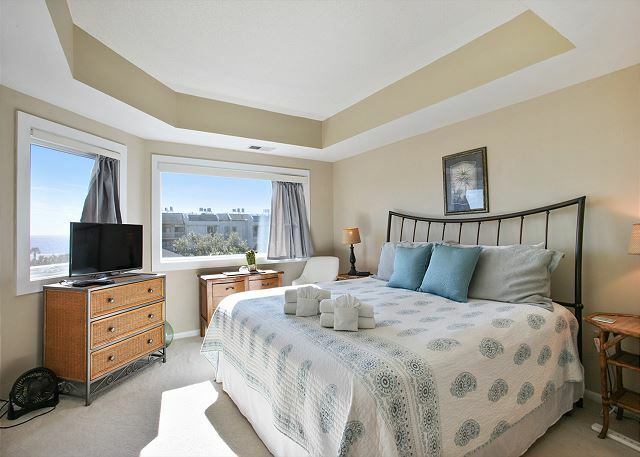 Awesome location, very nice condo on the 4th floor. This is the 2nd year we have stayed here and plan on returning. It is close to the ocean, a very nice pool area. 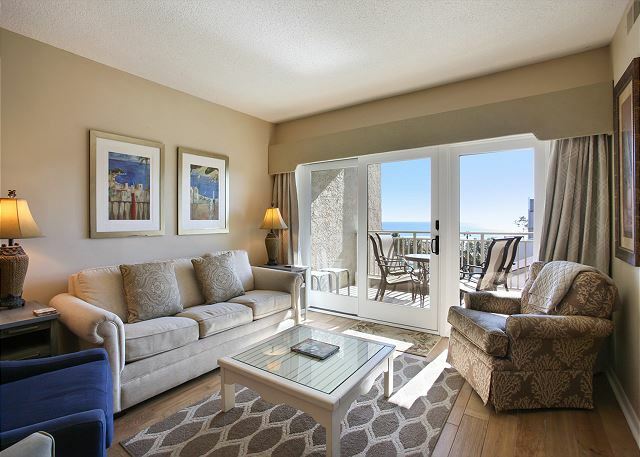 Shorewood 438 is well kept and beautiful view of the ocean. The entire conplex is well kept. Absolutely enjoyed ourselves. Quick and easy check in after a long drive. Unit ready when we got there. Great views from balcony and perfect weather. Acomadations were great, weather up/down but better than snow. Lots of golf. Looking forward to coming back next Feb.
We were pleasantly surprised with the calmness and quietness of the surroundings. Loved it. 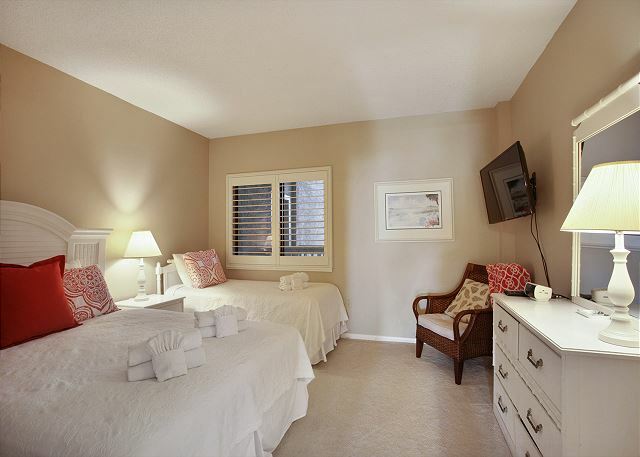 We loved the location - central walking and biking distance to shopping and restaurants. 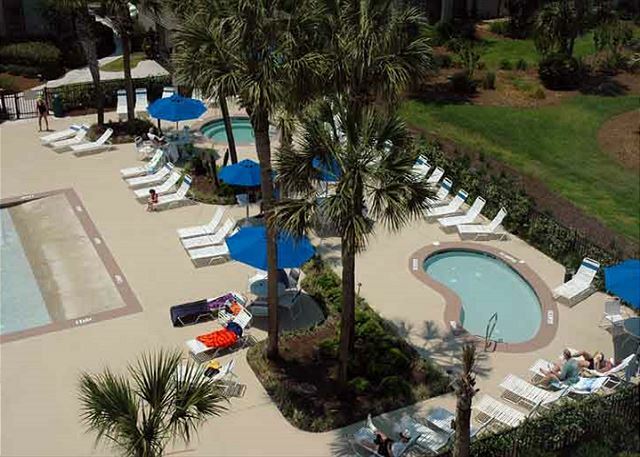 The ocean view, pool, beautiful landscaping, and service made it feel more like a resort! The whole experience was amazing....great service, great location, great accommodations. We will be back!! 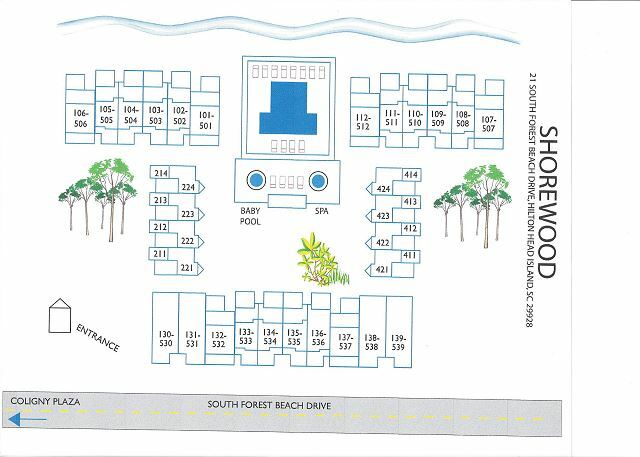 Our stay at Shorewood 438 was very nice. Excellent view of the beacb, pool was great for the kids. Location in close proximity to everthing on the island. Would definetly stay here in the future. Price was fair for most condo's in this range. No complaints. No negatives. Scenery was beautiful. Had a great time even though we had 2 days of bad weather. Look forward to next year already!!! will definitely would go back and stay if given a chance.